“Queen Millennia” (or “Queen of 1000 Years”) is a 42 episode TV series released from 1981 to 1982. It was immediately followed by a movie of the same name in 1982. At the end of the 20th century, a new planet is discovered within our galaxy, La Metalle. 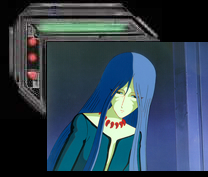 In a very eccentric orbit in our Solar System , La Metalle is a frozen wasteland, save for once every 1000 years when it traverses Space and comes deathly close to our planet, Earth (Leiji Matsumoto fans will not be surprised to know that this is scheduled to happen on 9/9/99 at 9:09:09). Unbeknownst to mankind, this planet is populated by a humanoid race of aliens. During the millennial meeting of the two worlds, a Millennial Queen is chosen by the aliens to stay on Earth and exploit its resources and people for the betterment of La Metalle. She is known as the “Sen-Nen-Jou” (Queen of 1000 Years) who clandestinely controls our planet and awaits the next 1000 year passing from her subterranean kingdom below Japan. La Metalle is seen by Professor Amamori from his massive observatory base, built in large part by his engineering genius brother. 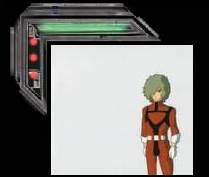 While Professor Amamori’s brother is secretly working on a rocket to be used to escape from Earth when it will be ravaged by the destructive gravitational pull of the approaching larger planet, the engine is tampered with by La Metallian agents, and he, his wife, and his entire home and factory are destroyed, leaving Hajime, his only son and our protagonist, orphaned. Professor Amamori takes custody of his nephew and puts him in the care of his assistant, the kindhearted, beautiful, Yayoi Yukino. But Yayoi is not the innocent girl she appears to be, for she is in actuality … the La Metallian Sen-Nen-Jou! After her centuries long sojourn on Earth, she is plagued with feelings for our planet. Though she wants to help both worlds, as La Metalle begins to complete its 1000 year orbital revolution (with cataclysmic complications expected this final, last time), must Yayoi ultimately decide if her loyalties lie with the people of the world she has known for a millennia, or those of the planet of her birth? “Queen Millennia” is a classic Sci-Fi adventure. Though I never really liked the Egyptian sarcophagus style Millenial Queen spacecraft, the show, especially the movie, featured great futuristic designs, and amazing scenes of planetary destruction. 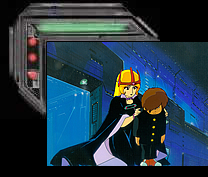 However, I think the story would’ve worked better if Yayoi was the main protagonist, rather than Hajime, even though you follow a similar young boy (e.g., Galaxy Express 999’s Tetsuro, Queen Emeraldis’ Hiroshi, Captain Harlock’s Tadashi) in most of Leiji Matsumoto’s other works. The Millennial Queens’ conflicted position, as a bridge between two opposing worlds (birth and adoptive), is the central core of the story.